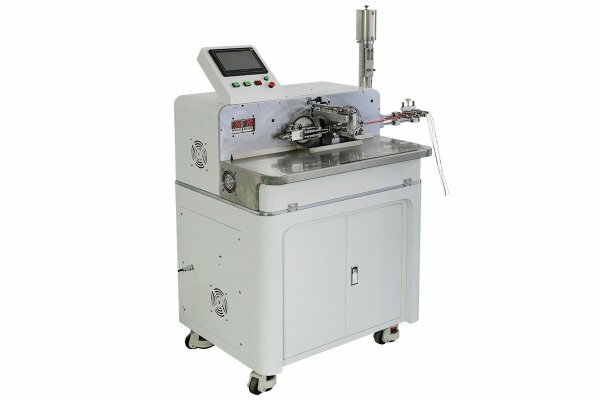 Introducing the Brand New KS-W113 Automatic Wire Cutting, Stripping, Twisting and Solder Tinning Machine. 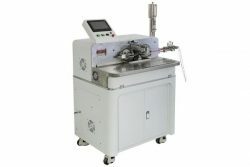 This New Cut, Strip, Twist and Solder Tinning Machine is capable of processing up to 5 wires at one time up to 3.5mm Outer Diameter Wire Size. The KS-W113 Cutting, Stripping, Twisting & Solder Tinning Machine can also be run as a Cut & Strip Machine without Twisting and Tinning each end.